Astigmatism is an imperfection in the curvature of your cornea, the clear round dome covering the eye’s iris and pupil. Normally the cornea and lens are smooth and curved equally in all direction, which helps to focus light rays into retina at the back of your eyes. But when cornea or lens is not smooth and evenly curved light rays are not refracted properly. And this gives rise to refractive error. When the cornea has the shape with is irregular it is called corneal astigmatism. When the shape of the lens is distorted you will suffer from lenticular astigmatism. One option is to replace the eye’s cloudy natural lens with a particular type of finest intraocular lens (IOL) called toric IOL. The toric IOL works much like toric contact lenses for astigmatism. There is a benefit of using toric IOL to correct astigmatism when a cataract is removed from the eyes. The main reason is the IOL is positioned securely inside the eye, and also it can provide a more stable correction of astigmatism. 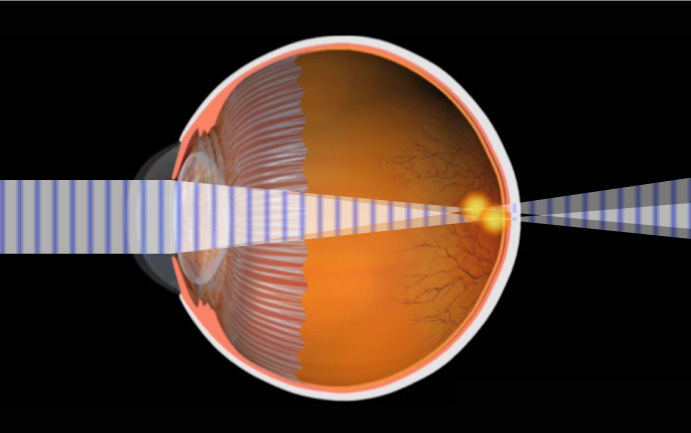 Many cataract surgeons recommend laser cataract surgery for the greatest accuracy in the placement of a toric IOL. Due to expensive advanced laser technology, the cost of cataract astigmatism correction generally will be higher than the normal cataract surgery. There is yet an additional way to cure astigmatism through cataract surgery it is limbal relaxing incision (LRI) method. In this procedure, one or more arc-shaped incision is made near the periphery of the cornea. This gently reshapes the cornea into more spherical shape, eliminating astigmatism. Cannot be used in patients with Keratoconus.